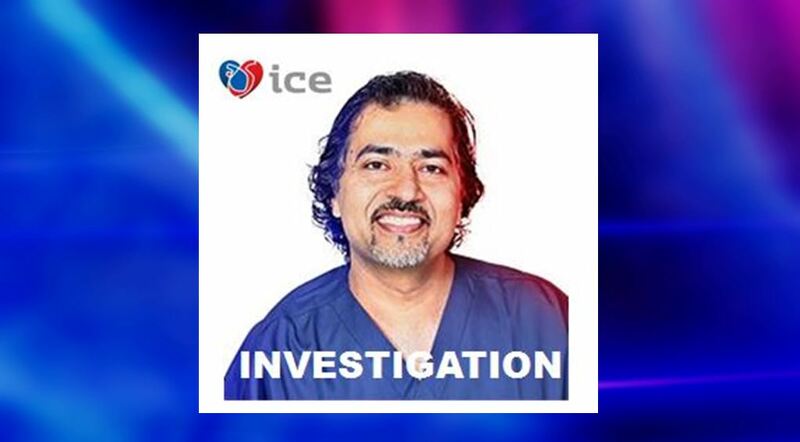 Ocala, Florida — Florida cardiologist Dr. Asad Qamar could be forced to close the doors to his physician group, the Institute for Cardiovascular Excellence PLLC (ICE), following the suspension of the group’s Medicare reimbursements in March. In January, the Center for Medicare & Medicaid Services (CMS) began proceedings to have Qamar’s reimbursements suspended. Federal documents outlining the suspension were only released this week. Qamar is accused of billing for excessive hours, performing unnecessary procedures, failure to submit required supporting documentation for testing and procedures, lack of documentation explaining excessive hours, and failure to provide documentation proving that a procedure was medically necessary. “Performing medically unnecessary procedures puts patients at risk and contributes to the soaring costs of health care,” said Acting Assistant Attorney General Joyce R. Branda for the Justice Department’s Civil Division. Dr. Qamar performed an unusually high number of procedures on vessels outside the heart. According to records, a patient who actually needed treatment for a blockage in her heart had a stent put in one leg and was scheduled for a similar procedure in the other leg. She never made it to her appointment for the second stent. She died from complications directly related to the first stent. According to documents provided by CMS, in 2012, Qamar received $18.2 million in Medicare reimbursements. Making him the second-highest paid physician by Medicare for that year. He received $16.03 million from Medicare in 2013. Mabry believes that the government “jumped the gun,” and suspended Medicare reimbursements to Qamar prematurely. After making several public records requests, Ocala Post discovered that Qamar has been under investigation for quite some time. Three weeks ago, Ocala Post received a news tip that suggested Qamar had also made illegal donations to the Democratic National Committee. The donations were for substantial amounts. According to reports, Qamar, who is a Republican, had asked his contacts in Congress to help with a federal review of his Medicare payments. The Democratic National Committee would no longer accept donations from Qamar after word got out about the federal review. However, Qamar was desperate to maintain his political relationship with powerful politicians in Washington and found a way to send grossly large donations to the Democratic Committee. How you ask? He used his children as political pawns. You read that correctly: Qamar made donations in the names of two of his children. At the time, his son was only 16 years old. According to the Federal Elections Commission, Qamar donated over $32,000 to the committee in his daughter’s name. Then, using his 16-year-old son’s name, Qamar donated another $32,000. In 18 months, Qamar donated $75,000 just in his daughter’s name alone. According to sources, most of the money went to the Democratic Party and the Obama Victory Fund. The Democratic Party unquestioningly accepted the donations and said that the committee had done so legitimately and legally. However, a donation made in a child’s name is required by law to come from an account owned and controlled by the child. Qamar could not prove that the bank accounts were in his children’s names. In fact, when the Democratic Party was asked to provide copies of the cancelled checks to prove the donations were legal, suddenly, the Democratic Party had a change of heart and returned all of Qamar’s money. Thus, they avoided an investigation. In January 2013, Qamar attended a pre-inaugural party and personally handed an envelope to Obama. Qamar also sent out numerous letters to Obama, Vice President Joe Biden, Department of Health & Human Services (HHS) Secretary Kathleen Sebelius, and members of Congress on relevant subcommittees. Qamar said he had become involved in Obama’s policies partly so that he would have an opportunity to make the case that medical practices like his are suffering because contractors conducting the reviews for the HHS were slow and unnecessary. The letters complained about the lengthy review of the billing practices led by the Department of Health and Human Services. In the letters, Qamar insisted that the reviews unnecessarily delay payments and that they threatened to put him out of business. Qamar wanted the law to be changed. Through Ocala Post’s investigation, it was learned that many individuals were not willing to talk about Qamar or his donations. Many refused to speak because of the upcoming election. It became very clear that many politicians have no morals and are not willing to do the right thing. Getting re-elected appears to be more important. And because government e-mails are public record, many refused to communicate at all via e-mail. Once White House staff members realized Qamar’s actions would be publicly known, politicians cut ties with Qamar, effectively stripping his chances at becoming the ambassador for Obamacare. In total, Qamar donated approximately $450,000. As for the current investigation, CMS says that the allegations are very credible; therefore, the suspension has been imposed on all of ICE’s health care professionals. The suspension was placed on all of ICE’s healthcare professionals due to the enormousness of the alleged fraud. However, CMS has not yet put a dollar amount on the fraud. During this investigation, Ocala Post inadvertently uncovered other fraud being committed by doctors within Marion County. Stay tuned for those details. Some of the physicians within ICE’s physician group might have been reinstated after this article was published. If a patient would like to know if their doctor has been reinstated, call the Physician Services at CMS-Medicare and Medicaid Department at 404-562-3808.